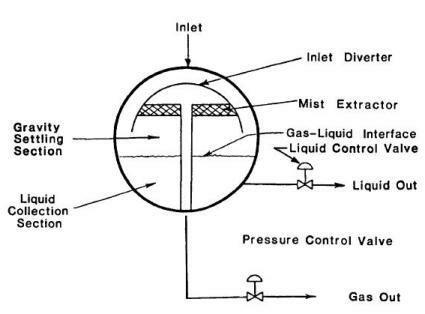 The figure above showed a typical spherical separator schematic. The spherical separator had the same working principle as vertical separator; the main difference is the existence of cylindrical shell between the inlet and outlet. This kind of separator is very efficient in term of working pressure but they have limited surge capability and it’s difficult to fabricate.